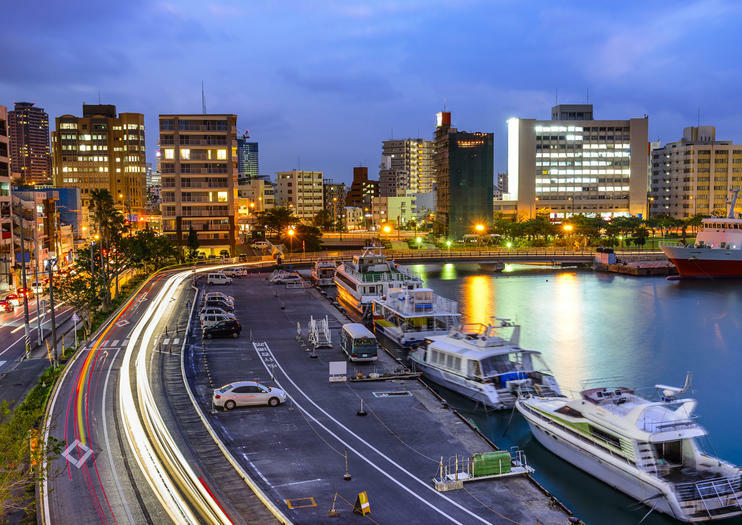 This capital city of Okinawa Prefecture was founded in 1921 and is one of the most relevant destinations for education, politics, and commerce in Okinawa. Dozens of shopping centers, corporate flagships and centers of trade and industry exist in this populated city. But there’s plenty of history and culture for travelers to Naha to explore. Shuri Castle, once the royal hub of the Ryukyu Kingdom, ranks high among the top sites in Naha. Visitors love the castle’s rich history and story of reconstruction and rebirth. Nearby Lake Man is one of the city’s natural highlights with thick mangrove forests that serve as a divide between Naha and Tomigusuku. Visitors can also explore the culture, art and history of the capital city at the Okinawa Prefectural Museum and Art Museum. A stop at the Shikina-en Garden offers travelers an urban oasis and offers a peaceful respite that feels a world apart from Naha’s modern downtown. Although visitors can find plenty to do and see in Naha most any time of year, rainfalls are highest in September. The heat and humidity in July and August can be somewhat uncomfortable, making the dry month of December one of the best times to visit. • Okinawa car rental is the most convenient way to explore Okinawa perfectly • You are free to choose the type of the car as you want: compact, medium, or van • You will be able to visit a lot of places as much as you want Using a car is the simplest way to discover Okinawa perfectly. It is because there is not much public transportation there. If you just arrived at Naha Airport, you can find the Okinawa Car Rental Naha Airport to start your journey from there. Make sure you make the booking process in car rental Okinawa airport easier by showing your international license for driving. Just get the license, and you are free to visit lots of tourist spots such as Okinawa World, Shuri Castle, and more!